The major news event effecting markets globally especially in Europe, was the terrorist attack that took place in Nice, France on Thursday. At least 84 people have been killed. Travel and tourism stocks have moved lower as a result, it is creating a terror driven sell off in European markets. The big investment news for the week is the surge in the American Dow Jones Industrial Average after a nearly 5% loss, as a result of Brexit. A six day rally has pushed the price beyond 18,500.00, a gain of 1,388.87 points or 8.10% since the low in June. The composite has now hit all time highs, for four days in a row. This is due to the investor flight to safety, with government bonds, real estate and other assets becoming less profitable. U.S. markets are deemed to be the safest in the present global financial instability. The Standard & Poor 500 index has now reached a new high for 2016 at 2,169.05 after a gain of 8.20% since Brexit. It is was also at a new all time high earlier this morning. The United States 10 year government bond yield, is still low at 1.53%. 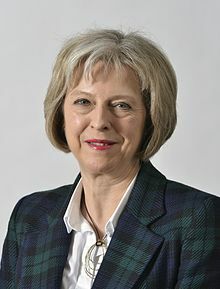 In the United Kingdom, conservative Tory Prime Minister David Cameron is replaced by former Home Secretary Theresa May. She has already installed a new cabinet and has somewhat helped calm jittery markets. British pound sterling rebounds this week from the 31 year low of $1.2786 in valuation to USD (United States Dollar). The currency is now headed for its best week against the dollar since 2009 (up 3.5%), after the Bank of England unexpectedly decided to keep interest rates unchanged at +0.50%. This rate has held steady since 2009. Present valuation is of the pound +0.7% at $1.3434. A growing number of analysts are predicting the United Kingdom will now head into recession, as a result of the instability created by Brexit. For the first time ever, Germany has sold 10 year bonds with a zero percent coupon. The 4.038 billion Euro debt the equivalent of $4.47 Billion USD, will generate a negative return for investors with a yield of -0.05%. The European Commission is now reducing growth forecasts over the next year as a result of Brexit. The estimate of the impact is a diminution of 1% to 2.5% in the United Kingdom and 0.2% to 0.5% in the Euro area. The Chinese economy grew by 6.7% in the second quarter of 2016, from a year earlier. The result was higher than expected and was helped by a number of government induced stimulus measures. However, a number of statistics point to a lower growth in the second half of the year. Although China is reporting a 6.2% increase in industrial output and a retail sales spike of 10.6%, fixed asset investment growth fell again to 2.8%. Chinese exports were down 4.8% year to year and imports dropped 8.4% in USD terms. As a sign of weaker demand, consumer inflation at 1.9%, is at the lowest rate since January and far below the official 3% target. 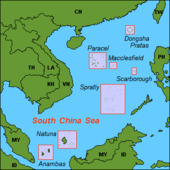 China has announced that it intends to ignore the negative international court ruling on the maritime claims, they has been made in the South China Sea. The Chinese government is still claiming 85% of the territory in this vital waterway. The court in the Hague ruled in favor of the Philippines, that had brought a case against the Chinese island land grab 3 years ago. The economy of Singapore is growing faster than in the preceding 5 quarters. The GDP (Gross Domestic Product) expanded by 2.2% in the second quarter. The spurt in growth is due to a rebound in the manufacturing and services sector. Japanese Prime Minister Shinzo Abe and his Liberal Democratic Party won an even stronger majority in the upper House election last weekend. This will make it far easier for the government to proceed with its economic agenda. An additional fiscal stimulus of 2% of GDP has been advocated. The Japanese Nikkei has rebounded to the level it had before the Brexit vote. This was the result of the Prime Minister ordering a new round of fiscal stimulus. However, creditors are becoming increasingly anxious as the GDP to debt ratio approaches 240%. Of the three arrows of growth put forward by the government, only structural reforms have been lagging in implementation. Fiscal stimulus and monetary easing have accelerated dramatically. Turnbull sworn in as Prime Minister by Governor-General Sir Peter Cosgrove following the September 2015 Liberal leadership ballot. Australia’s Prime Minister Malcolm Turnbull has claimed victory in a tight race that took days to determine the outcome. The opposition Labor Party has conceded defeat. The conservative Liberal- National coalition saw its majority of 90 seats reduced to a mere 76. This is just what is needed to control the 150 seat chamber. Results in the upper chamber were also lackluster. The gamble of calling an early election to gain a stronger mandate, for economic reforms has backfired. Gold has retrenched this week, after reaching a high of $1,370.80 an ounce. The price is now listed at $1325.30, a decline of $45.50 USD. The big mover though remains silver. The price Friday morning, leaves the price still above $20.00 USD, at $20.16. The gates of the Nigerian oil refinery in Port Harcourt. Middle Eastern oil output now at a record high, makes up 34% of global output at more than 31 million barrels a day. World demand is becoming more reliant on this source of crude once again, reaching a level not seen since the 1970’s when it was 36%. U.S. production is down 140,000 barrels a day to 12.45 million barrels. The global supply glut remains. On Friday morning, American West Texas Intermediate (WTI) oil increased +0.55% to $45.93 USD. Prices are now $0.59 USD higher from last week. International priced Brent is up by +0.65% at $47.68. This is a $1.00 USD increase in valuation from the week before. Oil prices are higher this morning due to United States based energy giant Exxon Mobil declaring a force majeure on shipments of crude from Nigeria. This was in response to a systems anomaly during a routine check of its loading facility.